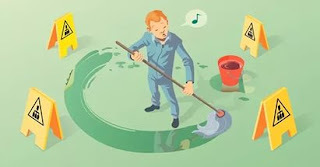 INXY – dedicated servers, CDN, cloud solutions: How to clean your web-site to improve performance? How to clean your web-site to improve performance? If you focus on developing a web-site, you should organize its space so that nothing obstructed and affected its work. Learn how to declutter a web-site to boost its speed and performance. Although they help in functioning of web-sites, some of plugins may slow down the speed of page loading. Some can appear to be useless, or just poorly coded. If you don’t need a plugin, remove it. You can also replace several plugins with one multifunctional. Check the navigation of your web-site from a user’s point of view. Make sure that the panel has only necessary categories for each search. Widgets and tags may also improve access to web-site resources. If there are many pages on the web-site, you a mega menu – it makes surfing more comprehensible. If there is a lot of content on your web-site, you should take care of its structure. Remember to insert H1 and H2, H3 headings into your articles so that they were more readable. Lists, quotes and links also make content better – they help to comprehend and memorize the information. Don’t hesitate to use media that is connected with the subject. Add new content and update the old one from time to time. Ensure that you don’t have broken links. Keep tabs on the latest updates of themes and plugins and check their compatibility. Before updating everything, you can make a backup copy of your web-site (it is highly recommended). If something goes wrong during update, you will be always ready to restore the site. If users start complaining about slow loading of your web-site, you should find and eliminate the cause of it. If the server deals with more traffic than it is supposed to, you can switch to another hosting plan. Check your themes and active plugins and get rid of ones that slow down web-site speed considerably. It is advised to test the plugins before and after installing them. Remove of themes that are no longer in use. Don’t hesitate to delete all spammy and obscene comments – they may also spoil the image of your web-site. If you have some posts in your trash bin, it’s time to erase them forever. Fix broken links (it can be done manually and with the help of plugins). Check your database and get rid of elements you don’t need. Why do you also need online back-up? How to prepare for live streaming?